Firefox 4 has definitely got both Chrome and Internet Explorer 9 beat in one thing, and that is customizability. When I first downloaded Firefox 4, I wasn’t sure I liked the new interface. But after some tweaking, it might be enough to make Firefox my new default browser. Customizing the Firefox interface is easy, and we’ll help you get started with our instructions below. 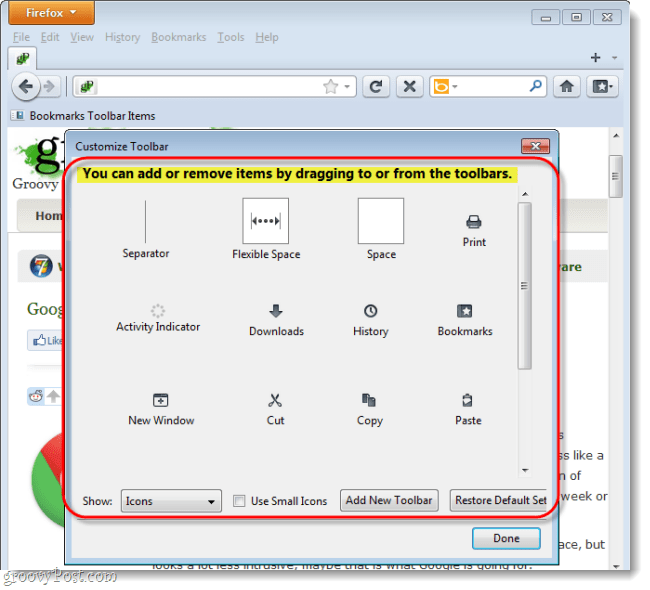 From the Toolbar and the Customize Toolbar window, you can add items to the toolbar by dragging them straight to it. For example, since the regular address bar works as a search-box, why not just remove the separate dedicated search box? 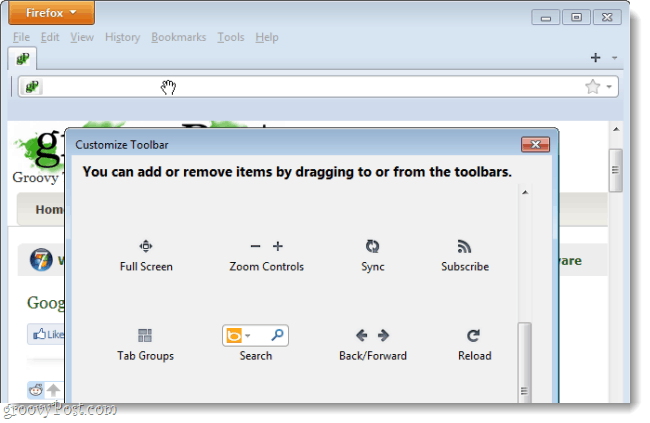 More importantly, you can drag items around and remove them or put them on a new section of the toolbar. *You can also just Press the Alt key to toggle the menu bar. After a few minutes of customizing you can have a completely different toolbar at the top of your browser. As shown below, I’ve removed the items I don’t use, and moved around the tabs. If things get tricky, feel free to ask any questions you have in the comments section below! 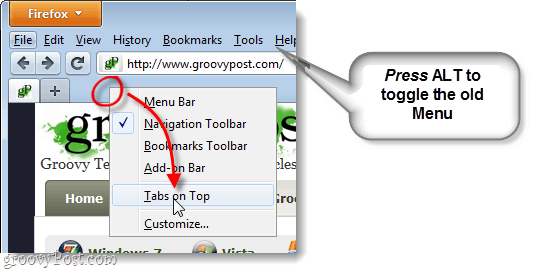 Have a groovy time personalizing the Firefox 4 toolbar. I cannot follow your instructions because I do not have the Firefox button at the top left of the window. Press alt, you should see the old style menu bar. 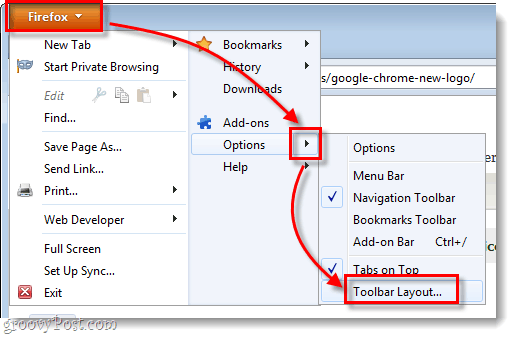 Click on view -> toolbars -> customize. The customizer window should pop up, you can edit the Firefox UI from this window. I too don’t have the same screen appearance as your display with Firefox 4 but have worked out a solution to my customization problems. Simply right click the toolbar and select Customize. With the mouse drag items from the toolbar back to the Customize box and then drag them back to the position you want them on the toolbar.